We are seeking to establish a framework panel of suppliers to provide venues for the Innovation SuperNetwork schedule of events. Suppliers will be contracted through mini competition as and when required, over the duration of the project. 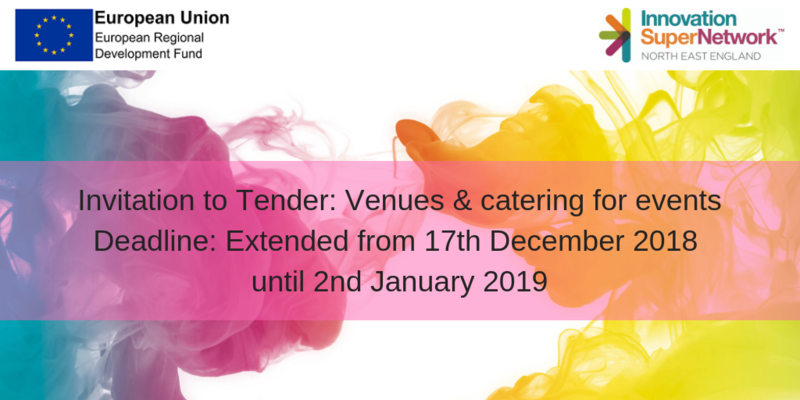 *PLEASE NOTE* Due to the high volume of responses and busy time of the year, we’re extending the deadline for our Venues and Catering tender from the 17th December until the 2nd January.